Leicester is one of the UK‘s most enterprising and successful business locations with major companies represented within the city and county. Merus Court is prominently positioned adjacent to Junction 21 of the M1 at the entrance to the main Meridian Business Park and provides high quality two storey office accommodation within a landscaped environment with ample parking. 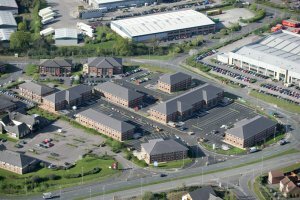 Excellent road and public transport links make this a great working location. Within easy reach of Fosse Park shopping centre, the offices are adjacent to a number of restaurants, pubs and hotels, as well as the Superbowl bowling venue, Vue Cinema and David Lloyd Leisure Club.